These are the seven skills taught by this highly effective game. 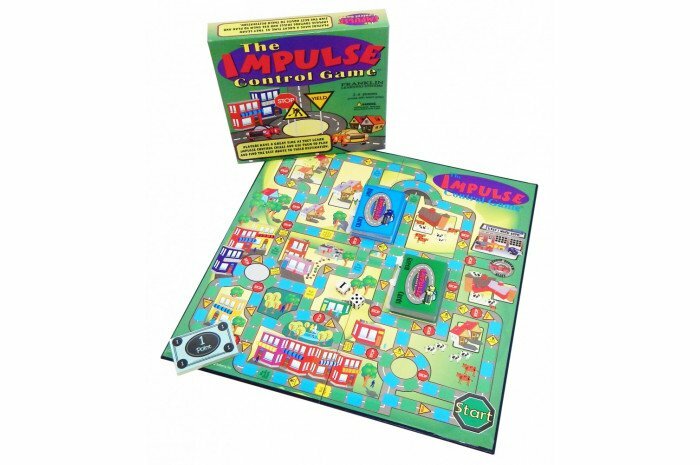 As players make their way through a maze of roads on the colorful game board, they face a series of questions: Should I take the short but hazardous route, or the safe but longer route? What might happen if I exceed the speed limit? Is the easy way the best way? Players must choose their routes carefully and anticipate the consequences of their actions. 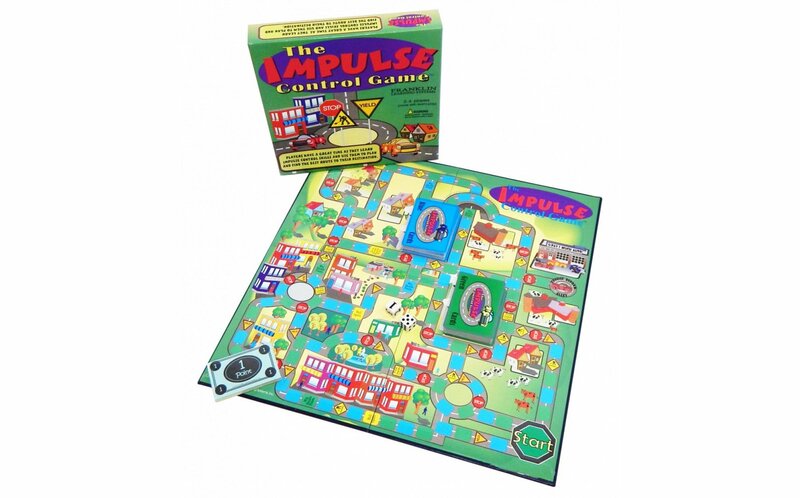 Ideal for children with ADD or ADHD, The Impulse Control Game can be played by 2 to 6 players or teams. My game arrived without any game pieces, the "cars" or dice. Play Therapy Supply was quick to have the game pieces sent, but I lost a therapy session with a client for whom I had ordered the game. When the pieces arrived, I was disappointed with the lame, cheap "cars" that were made from card stock instead of molded plastic. Great game! It is a little hard for younger kids to understand, but it's fairly easy to re-word and explain the concepts. Love the concept and great prompts/questions! This has been a very useful activity in a lot of my sessions.